The health benefits of guava juice are impressive. Forget about apple and orange juice—it’s time to add a little guava juice to your diet. Guava juice is very high in vitamin C—the highest of all fruits, in fact. It’s estimated that guava juice contains about five times the amount of vitamin C contained in oranges and other citrus fruits. Drinking the juice can be a great way to get a dose of all the healthy benefits of this fruit. Along with vitamin C, guava juice benefits include vitamins A and B, calcium, potassium, iron, folic acid, and phosphorus. Let’s take a closer look at these seven vitamins and minerals. Vitamin A is important for a healthy immune system. It functions as an antioxidant helping to prevent oxidative damage in the eyes. The vitamin is also needed for cell growth. The B vitamins can help to ease stress and reduce anxiety and depression. They can also boost memory function and reduce your heart disease risk. Calcium is needed for healthy bones and teeth and to help keep osteoporosis at bay. Potassium helps to regulate water balance in the body. It protects the heart against stroke and high blood pressure. Potassium is also needed to boost muscular strength. Iron is needed to carry oxygen to your blood cells. Folic acid is needed for proper brain function and to protect cells from the sort of damage that can lead to cancer. Phosphorus is needed for bone formation, a healthy digestive system and protein formation. So you can see that the benefits of guava juice are many and could potentially help prevent major diseases. What other guava juice benefits are there? Count fiber and its ability to lower cholesterol as one. Fiber is also important for regulating blood sugar as it can help to slow down digestion. Speaking of digestion, the fiber in guava juice can help to move waste through the colon and out of the body—another one of the benefits of guava juice. In this way, it can benefit those who are suffering from constipation. Try drinking guava juice before breakfast to promote regular bowel movements. Next up on the list of guava juice benefits are a number of antioxidants, chief of which is lycopene. You might remember lycopene in relation to tomato products. Lycopene has strong anti-cancer properties, helping to protect against free radical damage. And now you can get your dose of lycopene by reaping the benefits of guava juice. Guava juice’s antioxidants may help to protect you against the flu. Whenever weather conditions change, airborne germs seem to flourish. You can help your body fend off bacteria, viruses, and other foreign invaders by drinking guava juice. Guava juice can also be an important part of your weight loss program. The dietary fat in guava flushes toxins out of the body, along with unwanted fats. Relatively low in calories, guava is great for a healthy diet that promotes weight control—another important benefit of guava juice. To make your own guava juice, simply chop up some fresh fruit and put in the blender. Add a little water and other juices if you like, reap all the benefits of guava juice, and enjoy! Denny, C., et al., “Guava pomace: a new source of anti-inflammatory and analgesic bioactives.” BMC Complement Altern Med. September 24, 2013; 13(1): 235. 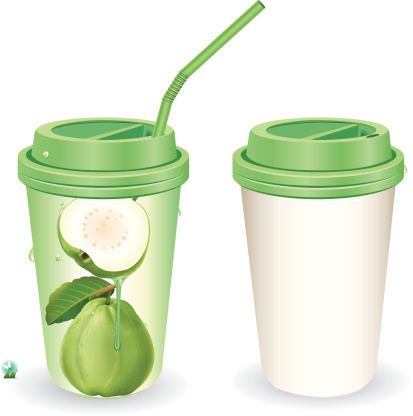 “Healthy Benefits of Guava Juice,” Juicing Cafe web site; http://www.juicingcafe.com/healthy-benefits-of-guava-juice, last accessed Oct. 30, 2013.